Visiting the Big Sur delivers a unique experience due to limited access. Landslides, fires, and floods buffeted the region over the last 12 months. CA 1 Northern auto access is closed to a bridge outage at Big Sur. 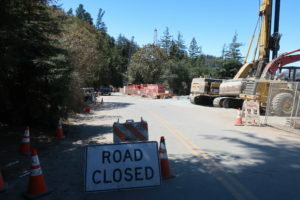 Southern access is closed due to a landslide leaving auto access only via the Nacimiento-Fergusson Road across the rugged Santa Lucia Mountains. Now is one of the best to visit before the schedule bridge opening in late September. 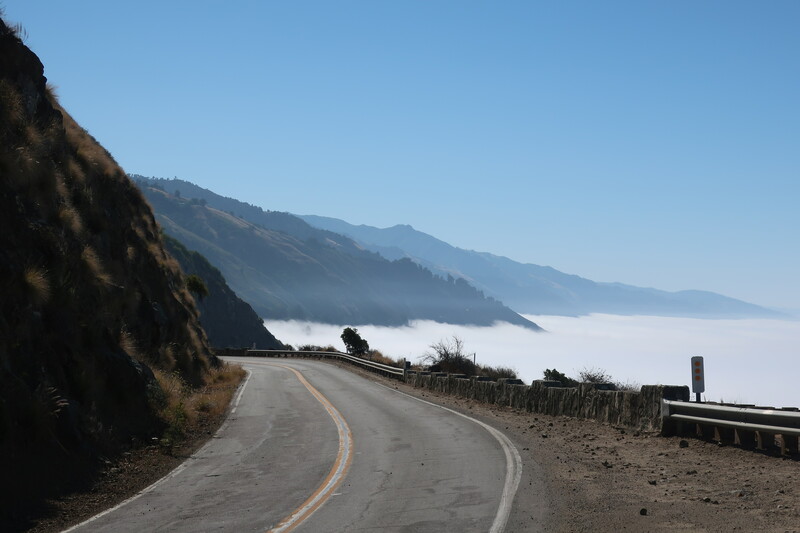 Visitors can park at Pfeiffer Big Sur State Park, hike across a canyon to the other side of the down bridge, and cycle down a deserted CA 1. 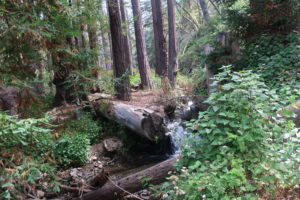 Bring your own bikes or rent electric bikes from Big Sur Adventures. Last Sunday, I rented an electric bike, and hiked many parks along CA 1. It felt like I visited a Thru Hiker town or I went back in time except I could stop and eat at Nepenthe. Visit now before the bridge replacement is completed. 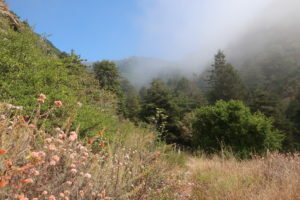 The adventure starts by parking at Pfeiffer Big Sur State Park and hiking across a newly crafted trail up the canyon. 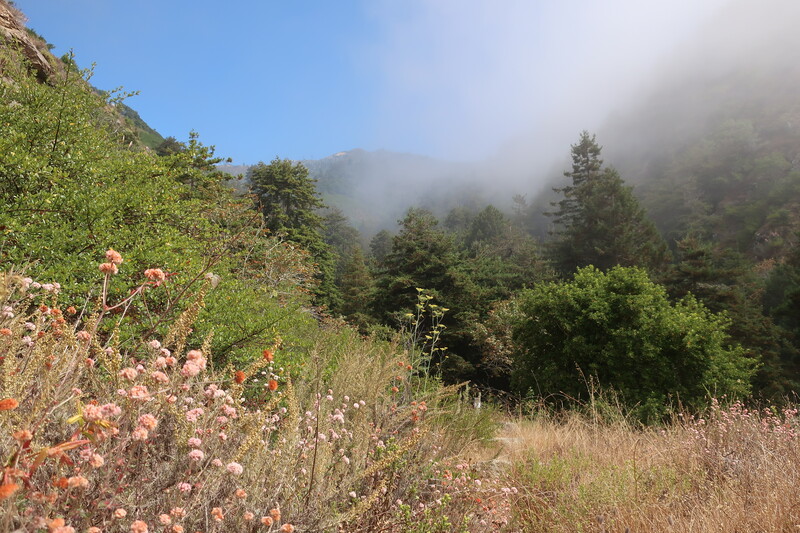 Big Sur get their groceries and supplies from hiking the trail. Riding down an empty CA 1 is unique. I saw about only five cars driving on the road the entire day. Julia Pfeiffer State Park and the iconic McWay Falls is about 10 miles south of the road closure. The CA State Park provides an excellent destination. 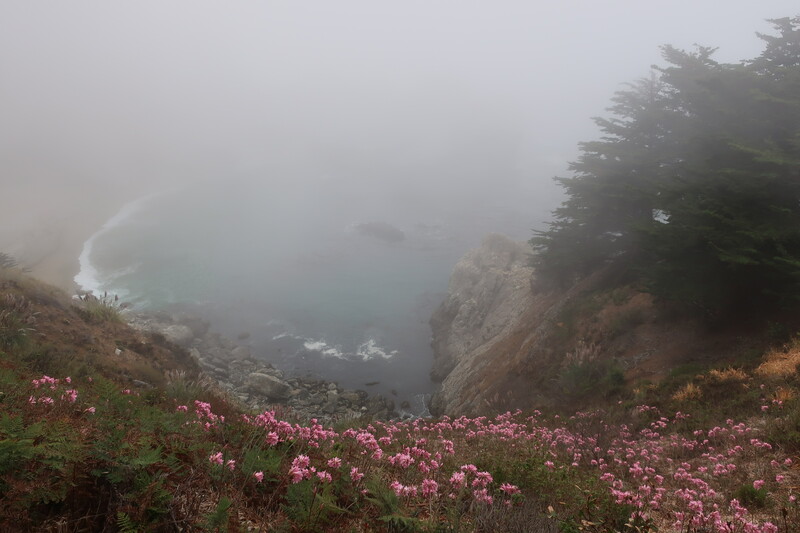 Fogust was in full effect during my visit. 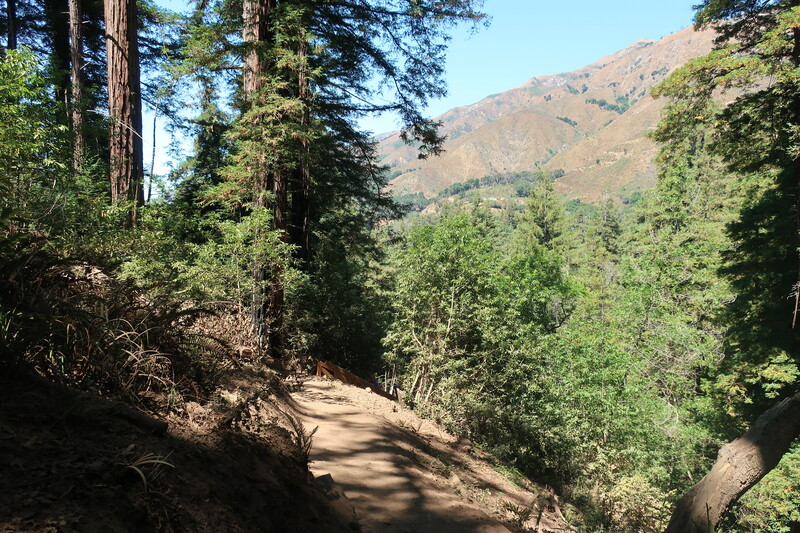 The canyons inside Julia Pfeiffer State Park make the user almost forgot that of the recent massive Soberanes Fire, the most expensive fire to fight in US history. 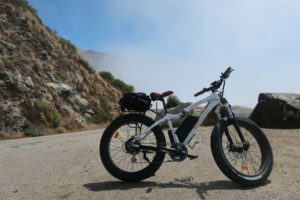 Here’s electric bicycle I rented from Big Sur Adventures. 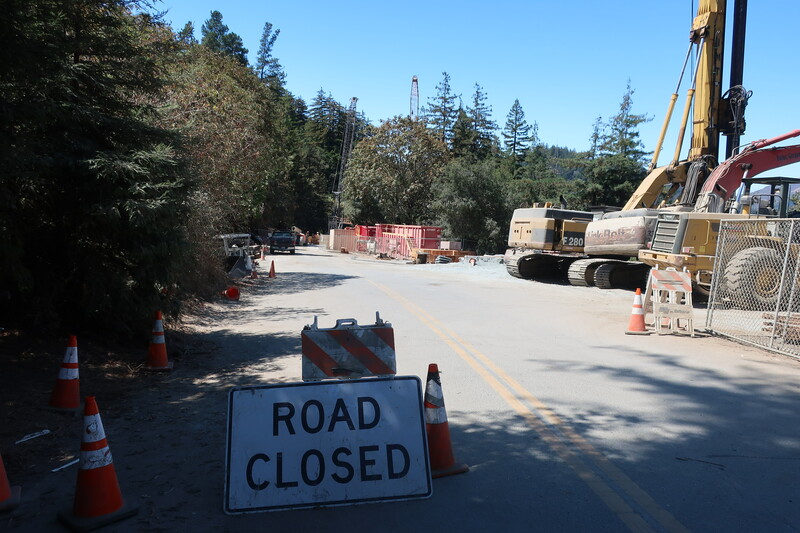 As the operator said cc: the road closure, the locals are making lemonade out of lemons. The bike was very easy to operate. 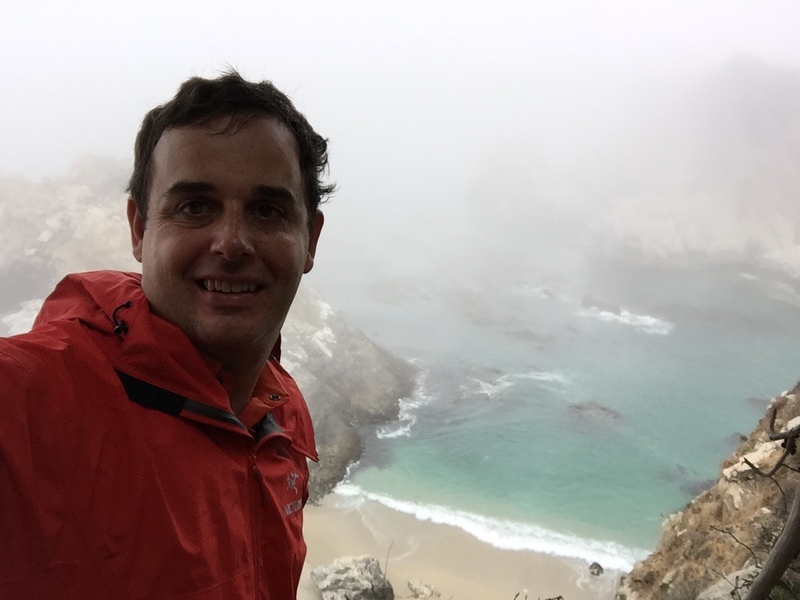 The Big Sur has tall mountains, deep canyons, and world class coastal views. Riding a bicycle made it easier to stop and hike and spots I previously just drove past. 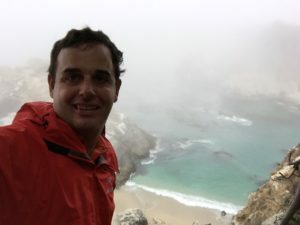 I hiked portions of Julia Pfeiffer State Park, little known trails along the ocean, and visited the Henry Miller Memorial Library. On my way back, I ate at Nepenthe. I enjoyed its world class view and its outstanding Ambrosia Burger. After dropping the bike back off, I descended into the Pfeiffer Big Sur State Park. 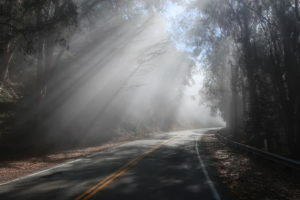 Check for road updates at the Big Sur blog.